If your goal is to sell a product or service through JoanLunden.com, please review the “Sponsored Content” guidelines here. If self-promoting within a content-rich article, please do so softly, and remember that your author bio is a good place to specifically have your details and links. Self-disclosure. Please disclose any relationships or partnerships you have when providing content. (e.g. if you are a paid spokesperson or if you are including information about your client or your company, please indicate this in the post). Original concepts, compelling arguments, and high-quality writing. We will not republish anything that's been published elsewhere. And due to Google’s algorithms, you may not republish your guest post in it’s entirely anywhere else after it appears on JoanLunden.com. 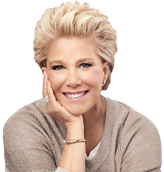 Article reflects the writing style and tone of Joan Lunden Productions’ blog. We aim to be understandable and helpful. Proper attribution of data, quotations, and outside content referenced in the article. Give credit. Check all your facts and quotations. Cite your sources. No more than two links to your company's website in the body of the post. Word Count: Our general word-count guidelines are approximately 500-1,000 words per article. Make your piece long enough to engage and enrich readers, and no longer. Your bio: Bio should be approximately 100 words and can include your social media handles, as well as any other relevant links you wish to display. Copyright Free Images (PNG, JPG): Provide any high res images you would like to include within your Word doc. Royalty Free and Copyright Free Images are required. When saving your images, please provide a descriptive name (e.g. baby-boomer-nutrition-image1). We ask that you share your published content through your social media channels with links back to JoanLunden.com and tags to Joan’s social media platforms. What makes a good JoanLunden.com post? To develop a sense of what we publish, we recommend you read our content and follow Joan Lunden on social media, as well as subscribe to our newsletter to get our most recent posts. Write to provide value that is helpful to our readers. Include a catchy and click-worthy title. Have, and hone, a main message. Edit your intro so that the point of your post is completely clear. Be prescriptive. Don’t just tell readers to do something, explain how. Give examples, details, and metrics. Deliver “aha moments” for readers who may be scratching their heads. Tell a story like a journalist. Cover who, what, when, where, how, and why. Make it personal. Share tips you’ve learned, new discoveries in the field of your expertise, resolutions to problems you’ve solved, etc. Be thoughtful when including links. Posts with too many links will look spammy and will be rejected. What topics are we looking for at JoanLunden.com? Submissions must meet the JoanLunden.com blogging team's quality standards in order to get published. The Joan Lunden Productions blogging team reserves the right to edit and adapt your guest blog content as we see fit, and update it in the future for accuracy and comprehensiveness. To submit your guest post, please email info@joanlunden.com.